Directory / eLearning Content Providers / Designing Digitally, Inc. Designing Digitally, Inc. is an award-winning, full-service provider of interactive and engaging custom-built eLearning, Training Simulations, Serious Games, and Mobile Learning. They don’t just develop learning solutions, they creatively work behind the scenes as a partner to achieve your objectives and make a business impact. They become an extension of each organization they partner with by collaborating with your staff to assess and establish specific learning, technology, job, and business objectives. From there they design and develop an engaging high end online learning solutions, often in the form of an entire learning ecosystems, through the fundamental use of strong instructional strategies, integrated game mechanics for engagement, and the latest cutting edge technologies in order to accomplish the established objectives. For over a decade, they have specialized in developing educational, engaging, and entertaining custom online training experiences tailored to fit the specific needs of your organization. They strive to provide a prosperous return on investment by producing high-quality interactive learning solutions and offering exceptional customer service. 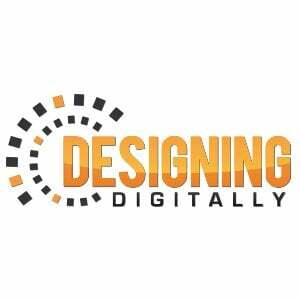 Be sure to review Designing Digitally, Inc.’s portfolio, blog, or contact one of their team members to discuss your training needs. They are creative, fun, and are here to push the envelope when it comes to custom learning solutions. Contact them today to create an amazing learning experience for your organization! Discover the Solutions Designing Digitally, Inc. has to offer.